With the nights getting darker and the days getting shorter spend some time finding inspiration and feeling creative with these music apps! Let us know if you’ve used any of these apps and what you thought of them, plus what you’ve been using recently. Contact us on Facebook or Twitter with your favourites, and visit App Share to see more of ours! What is it? Plug in your own instrument, use the software instruments available in Soundtrap or just record a song directly with a mic— it’s super-easy! Why do we love it? The app is a music production software in your pocket. Unleash your creativity and share your new music sounds with others all in one app! What is it? 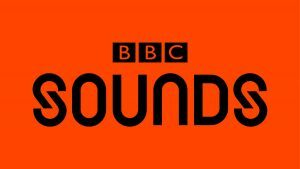 BBC Sounds is the new way to listen to BBC audio – your favourite programmes, podcasts, radio stations and music all in one place. Explore a wide variety of new podcasts, music mixes and live sets. Listen live to BBC radio stations. Catch up or listen again to your favourite BBC radio shows. Get personalised recommendations for your next audio obsession, and browse carefully curated highlights and collections of audio content. Why do we love it? Combining a variety of BBC streaming services this app has some music for everyone whilst on the go or sitting at home. What is it? 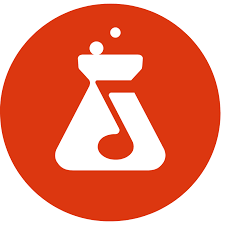 This app is a music studio and social network in one. You can follow your favourite music and artists, mix your own tunes and collaborate with others to grow your audience. Users from around the world use this app to make and share music. You can listen to tracks from other creators, publish your own as well as create and collaborate with other musicians. Why do we love it? We love creating and sharing music together and this app allows you to do just that. You can record and mix live audio and collaborate together to make music. The app also allows you to publish and share your music for others to see which is great for finding inspiration too!